We are one of the leading manufacturer and supplier of kids pant, We are supplier wide range of quality products with efficient pricing. Available Colors: Blue, Black, Red, White etc. Quality: 100 % Organic Cotton, 100 % Cotton, Polyester, Nylon, Dacron. To meet the various requirements of the customers, we are involved in offering a wide assortment of Kids Trouser. We take pleasure in introducing ourselves as leading firm by offering Kids Pant. Driven by vision to achieve significant growth in the industry, we are engaged in manufacturing a wide range of Kids Pant With Shirt. While mounting the stage of success, it has become increasingly more important for us to present a quality approved consignment of Fancy Boys Pant. We are engaged in offering a wide assortment of Kids Multi Pocket Cargos. Being very tough and sturdy, these cargoes are very soft and comfy. The high quality cargo pants are fitted with stylish design, large pockets, a robot button and an adjustable elastic waistband. We make use of the supreme quality fabric, which can resist the rough and tough usage. 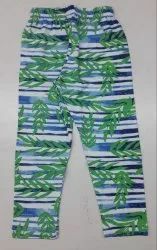 Keeping the track of latest happening in this domain, we manufacture the premium quality of Boys Printed Jogger Pant. We are highly commended provider of exclusive range of Kids Junior Pants especially made keeping in mind the latest trends of the fashion industry. These are designed using finest quality fabric and advance machines. The range of Girls Stylish Blue Legging Pant offered by us is extremely durable. The pants are appreciated for their comfort fit and smooth texture. They are made from the genuine fabrics to ensure that the products are skin friendly. Our products are highly preferred for their maintained quality. 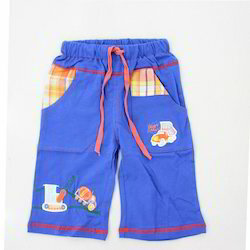 We are manufacturer and supplier of kids wear like cotton top & short pant.